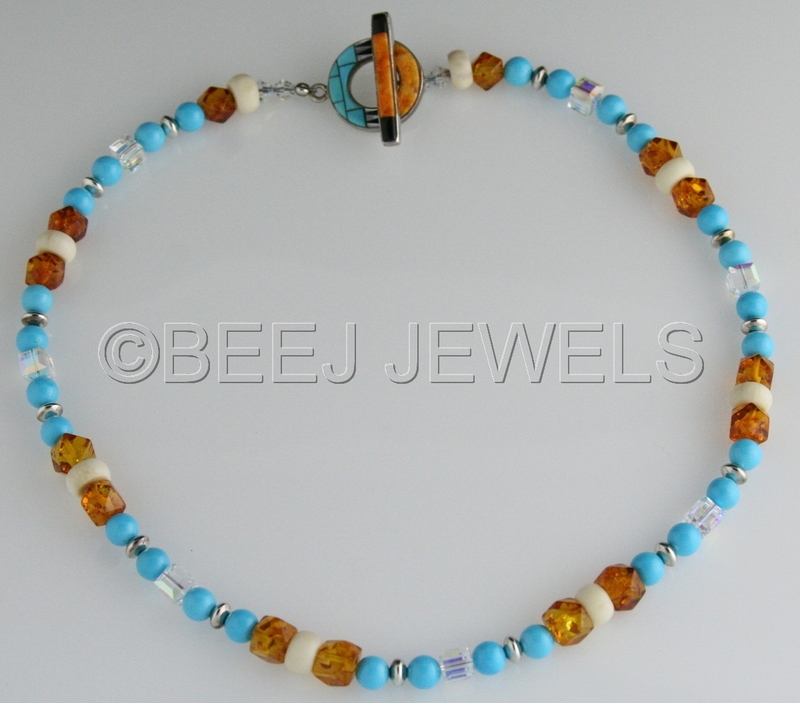 Beautiful Sky Blue AAA+ Sleeping Beauty Turquoise, with Baltic Amber Faceted Hexagons, Swarovski AB cubed crystal, Natural Horn, and Sterling Silver rondell spacers. The Southwestern-style toggle is handmade with inlay of turquoise, black onyx, mother of pearl, and spiny coral set in Sterling Silver. Overall length of necklace is 18" including the toggle.